Our vision is to provide consistently excellent and future proof Product Engineering, with xRM and Enterprise Mobility solutions along with best-in-class platforms ensuring maximum ROI for customers in the outsourced product development space. We have proven track record of working with clients panning across verticals like Retail, Healthcare, Travel & Hospitality, Insurance, Human resources. We have been working at the forefront of CRM and xRM technologies for a long time, thus enabling us to have lucid understanding on customer hurdles and pain areas to provide best and cost-effective solutions. We understand technology dynamics and proliferation along with rising cost pressures that clients face. An acumen that has been a primary drive for our continuous pursuit towards delivery excellence. At Nsquare our clients experience an In-depth technology consulting with the latest and the greatest solutions that suit client business. Our continuous vigilance towards technology and operational enhancement allows us to stay on top on every aspects of delivery. NSquare follows best Industry trends and practices for more robust implementation. It is our candid effort to bring more value to our clients. Be it project execution or consulting solutions, we follow a stream-lined process to leverage every possibility along with development methodologies that bring about an immaculate harmony on the project execution. Nsquare’s idea incubation and proactive assistance towards creating POCs (Proof of concept) enables clients to identify and formulize additional aspects of the project. Thus, providing a value-add and additional support to our clients with ideas or more valid solution based on the identified project touch points, enabling refined visualization and insight in the project NSquare has strict quality driven approach, wherein no factors are compromised when it comes to quality. We ensure best inputs and execution to every project, considering Scalability, Extension and Maintenance. These aspects are backdrops and counter parts that we consider by thumb rule while providing a solution. After a decade long experience with IT solutioning and a strong expertise with CRM, this led to build the foundation for NSquare. As a founder, Nilesh is consistently inspired and thrives to create a quality driven environment. His virtues are well rooted to make a primary drive towards technology, value and efficiency. Nilesh believes that regardless the size of the company, what matters is the quality of delivery which really counts and goes a long way. While, benchmarking based on the excellence and strategies laid down by the industry leaders, Nilesh, further brainstorms on newer ways to create an edge for providing unparalleled IT solutions. Nilesh’s thought process roots on the vitalities of creating a fulcrum for software development solutions, maximum ROI for the clients and nurturing the team as a true asset of the company. Nilesh’s dedication to achieve productivity is driven by a true passion towards Technology consulting and Project Management. Kirit forms a part of leadership team at NSquare. He heads the sales and Business Development department. Kirit devises and implements operational and business strategies. 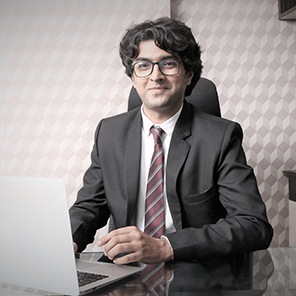 His ground up experience allows him to perceive business aspects from a miniscule to larger significant levels, making him adept in strategizing in diverse market scenarios. Kirit has been responsible to augment and laying down the road map for NSquare to create its position in highly proliferated market. His line of execution also includes reviewing, formulating, refining and creating process driven environment throughout the organization. His role stretches across functional activities of Project Management and Delivery along with resource management. Kirit has a core sales background in the field of information technology. 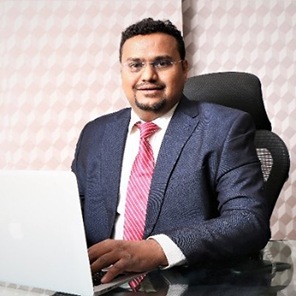 His exposure to multiple geographies via client interaction enables him to reckon a balance and strengthen important aspects like delivery, value and client expectations. Mamta plays a vital role in handling extremely significant function of Human Resource and Administration. Her foundational role enables her to create right environment for professionals. She is a firm believer of resources and their needs come first. 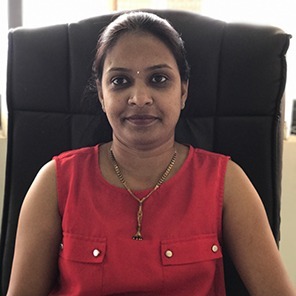 Her inherent inclination towards managing and handling multiple aspects of HR and Administration gives her an insight to streamline work ethic, policies, employee benefits and other team building activities. Mamta has been thorough and immaculate on creating the ground work for NSquare; her continuous efforts have paved way to happier work environment, learning, camaraderie a positive and optimistic team. Her role is pivotal in handling payroll system as well. It is her constant look out to improve processes, promote open communication, lay down welfare policies for better productivity and happier work environment.